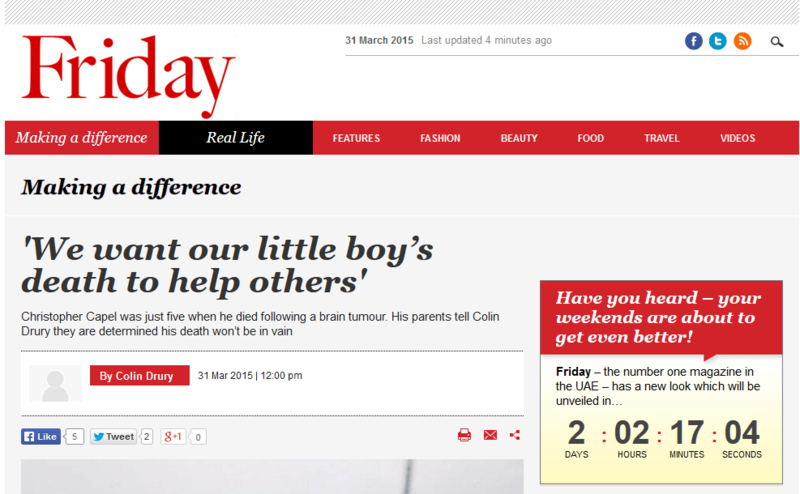 Christopher’s Smile was the subject of the Gulf News Friday Magazine ‘Making a difference’ feature. The Gulf News is the largest selling newspapaer in the Middle East. To read the article click on the link below.